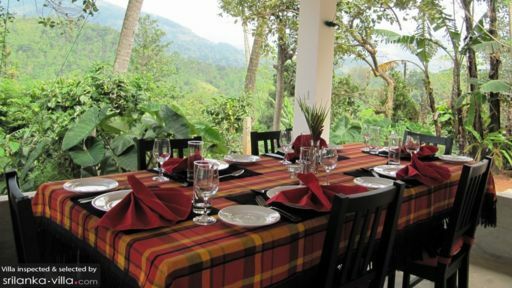 Set up a windy forest road, the Ellerton is, like much of Sri Lanka, a charming time warp with a great view of the Alagalla mountains, colorful gardens and a nearby village temple. Dinner was very good and the friendly dogs and cat, and excellent library make it worth more that the one night stay we had, especially if the weather affords exploration of the countryside. Spent four nights here during our tour of Sri Lanka and were delighted and impressed by the service, accommodation, food and location. The English owner has managed to create a very warm, discrete, beautifully appointed and professionally run hotel. The staff were very attentive and helpful. The food was delicious. We stayed in Garden Room 1 which had the most amazing views from the balcony overlooking the forest and valley to the distant mountains. Every spare moment, of which there were many, was spent sitting enjoying the view and watching the birds, monkeys and deer. It is easy to take many walks along the roads and tracks around the area - very safe and easy with friendly locals. A gem of a hotel well worth the tricky approach by road! 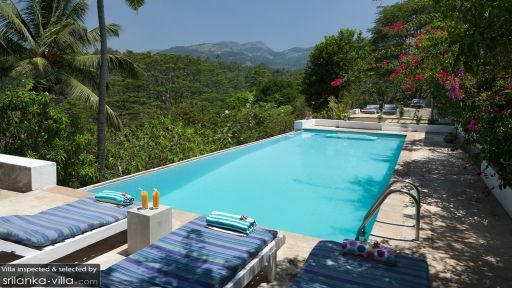 Set in beautifully landscaped gardens high above Kandy, with charming staff and delicious food. Our room was comfortable, spacious and well appointed, we would have liked to spend more time here if our tour of the island arranged by Audley, had allowed - perhaps next time !! We loved our stay of four nights in Ellerton. The surroundings are rural and great to walk or bike in. Good mountain bikes free of charge. Dinner not cheap for Sri Lankan standards (75$ for family with 2 kids) but very good. They offer both a curry and a non curry option. Lunch is great too both the sandwiches and the salads and soup. Don't think they you're close to Kandy though as you're really not. 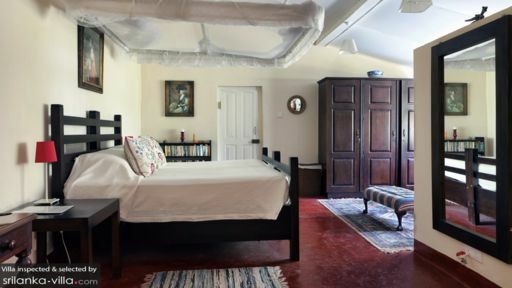 The British owners of the Ellerton have managed to hang on to the fine sense of service that is traditional and so prevalent throughout Sri Lanka. The staff were all courteous, warm and helpful. Our room was very comfortable and well-appointed. Breakfast were good although the dinners were perhaps a little restricted in their range. This hotel is especially attractive if you just want to sit on your veranda and watch the extensive birdlife that surrounds it. Be warned: you could well be woken in the early hours of the morning by the drums and chanting of the Buddhist monks further down the valley. However, I (somewhat perversely) enjoyed this interrupted sleep as I got accustomed to the rhythms. A welcoming hotel with the most incredible views. Very colonial feel to this place and it is decorated to suit the period. We stayed in one of the bungalows which was wonderful. The staff are attentive and helpful. Good library, tea and coffee available to make throughout the day. Great food, comfortable beds, amazing location......what's not to like!